"The field enters turn one during the 143rd running of the Kentucky Derby at Churchill Downs on May 6, 2017 in Louisville, Kentucky." There are many assignments photographers dream of documenting - and in the world of horse racing - there is only one Kentucky Derby. 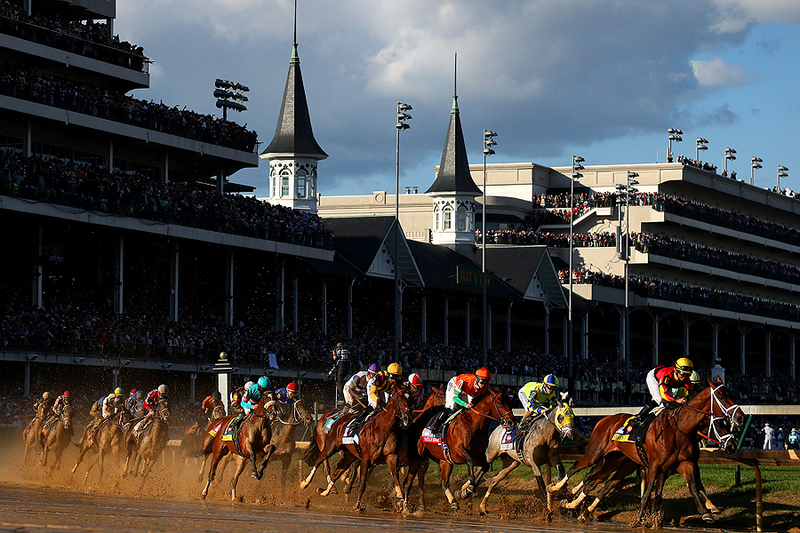 Last week, I had to opportunity to photograph the 143rd running of the Kentucky Derby with our team at Getty Images. A wet week with lots of rain had everyone ready for even the tiniest bit of sunshine. And as Saturday rolled around, fans and photographers alike got what we wanted - even if brief - right before the big race. The sun came out full blast, yet cloud cover made getting the light perfect very tricky on the handhelds. For my turn one remote, I went for it, and underexposed hoping for sun and mud. Thankfully everything worked out, because right after their pass, the race finished in full shade. Sometimes you have to set remote cameras up for what you know is a risk, but a reward for the team if all works out.